INspire Teachers. Erase your notion of those dreaded, one-day math professional development sessions. Investigations 3 engages teachers in ongoing learning about mathematics content, pedagogy, and student learning. The curriculum is designed to be a “dialogue with teachers.” Investigations 3 supports personal and professional growth, and provides best-in-class management tools. Prep, train, create. thINk! 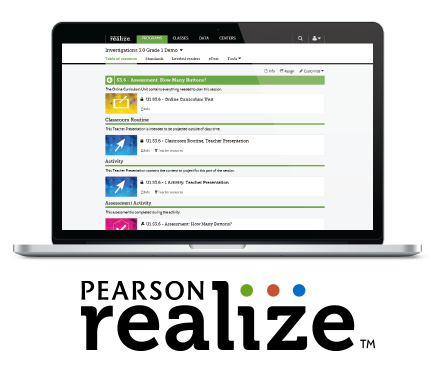 Pearson Realize is the online learning management system for teachers, parents, and students. Online access to all print and digital resources makes lesson planning and presentations easy. Teacher empowerment is a hallmark of Investigations 3. The program continuously strives to build teacher confidence and content knowledge. Short, 5-8 minute PD videos feature expert teachers who discuss instructional pedagogy, routines, and classroom insights. Listen to real teacher experiences and see best practices recorded live in Investigations 3 classrooms. Assessment is an integral part of instruction. It provides evidence of proficiency and informs instructional decisions. 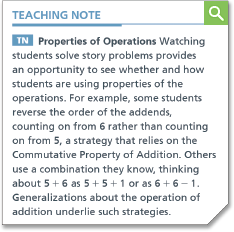 Ongoing notes and strategies improve your teaching and understanding of mathematics. 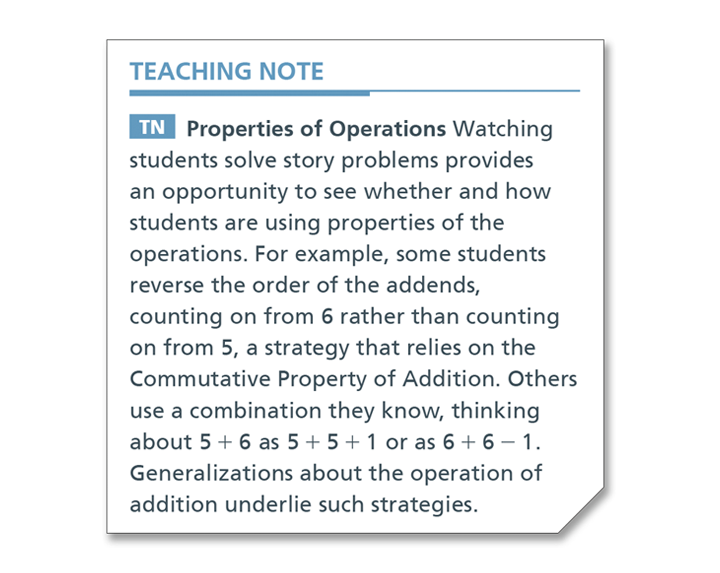 Experience long-term math professional development, whenever you need it. If you think you’re just a number, thINk again.